Even the best of short story collections are uneven. I used to find this odd—how could a writer who wrote such a fabulous story follow it with such a crap story? I realize now that it makes sense. I mean, after all, if you look at any author's complete body of works, you'll find great works and ho-hum works. No writer is one-hundred percent consistent. The difference is in presentation. We think of a collection of short stories as a complete work. A novelist's whole career is not held under the same scrutiny. Danielle Lazarin's Back Talk is no different. There are stories I really enjoyed. And stories I could've done without. The difference was the grouping of these stories. Normally, a collection starts with one or two good stories and follows it with a dud, then another good story and several duds. Depending on the total number of stories in the collection and the ratio of good stories, all this may vary, of course, but often the middle contains several lackluster stories that lead into a final one or two good stories. 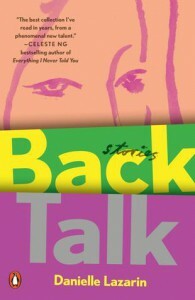 So when I started reading Back Talk and found that the first several stories barely held my attention, I assumed the whole collection was not for me. Midway, the stories really started to improve however. In fact, story after story was quite wonderful. At this point, I questioned whether it was me: perhaps some preconceived notion I had about the collection, or some blockage in my personal life. I decided that, when finished, I'd go back and read one of the first few stories that I found to be far from special. On a second reading, the story I selected was slightly more enjoyable, but I still didn't love it. So maybe this collection is oddly uneven, but it does contain several wonderful stories. The best of these stories really get into the minds of their protagonists. They're quiet stories about everyday events, but they're full of heart. In these character-driven stories, I think it ultimately comes down to connection. I was pulled into the mind of some of these characters, not into the minds of others. 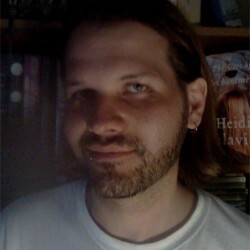 Readers of character-centric short fiction should give Back Talk a try.